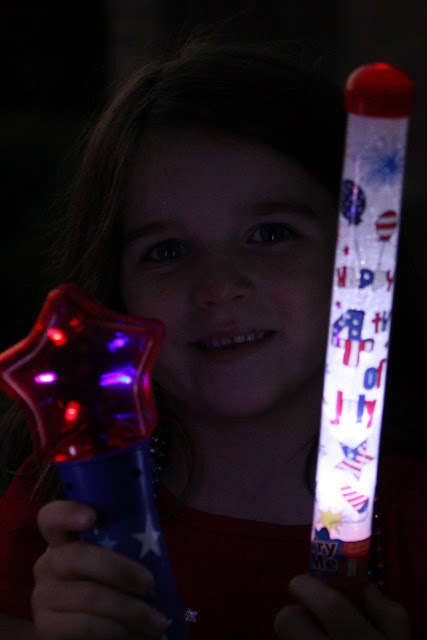 For a scrapbooker like me, July 4th with no fireworks devastated me. 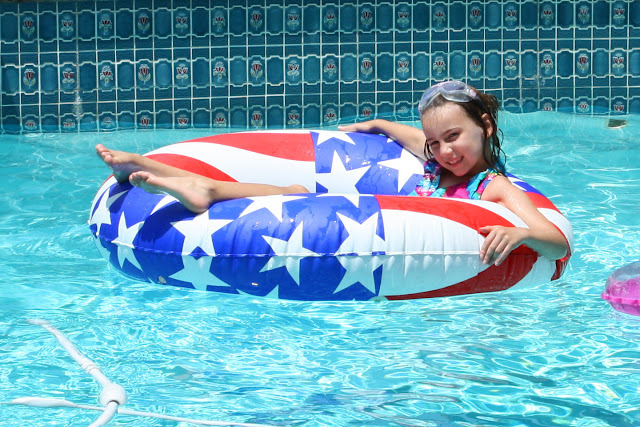 No cute pictures under the bursts of light, no cute firework stickers…the holiday is just not the same! We celebrated at my parent’s house this year instead of the Octaranch in College Station because we couldn’t light our own fireworks. We swam and my dad grilled! We ate LOTS of good food and enjoyed great company with my brother’s family and Kristy and Bill. 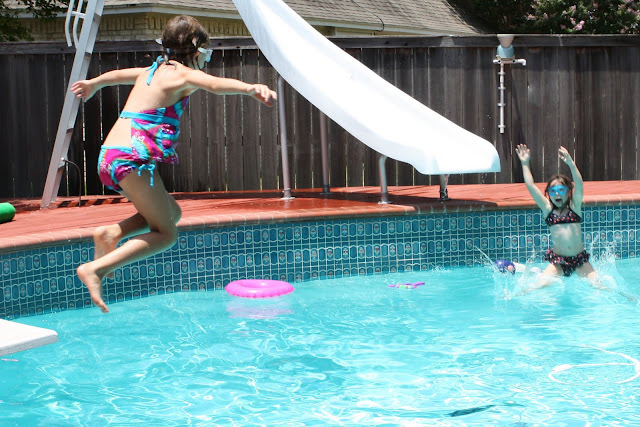 they were trying to do synchronized pool entrances! 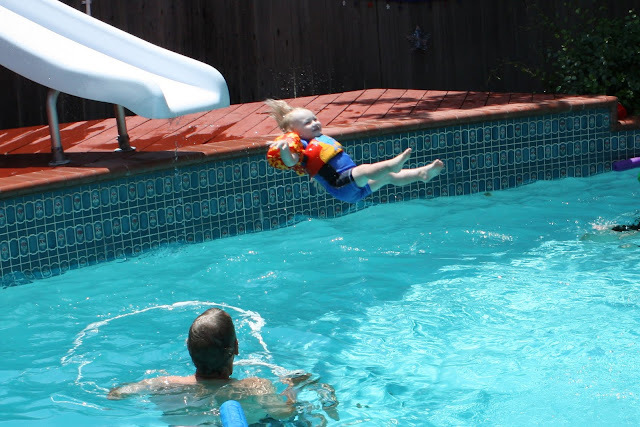 Love cousin Caden’s hair as he flys off the slide! 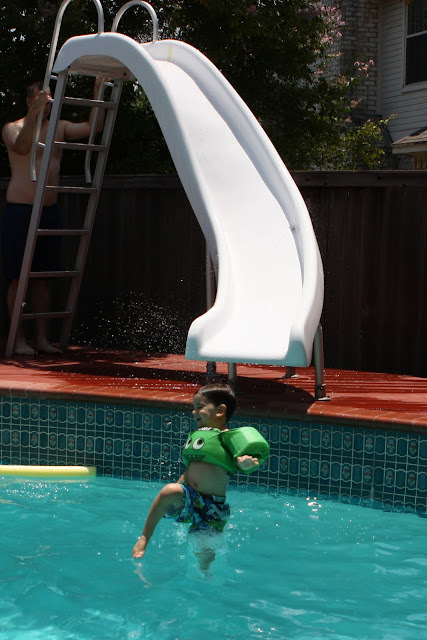 Asher’s turn on the slide! Have to have a picture on the July 4th float! 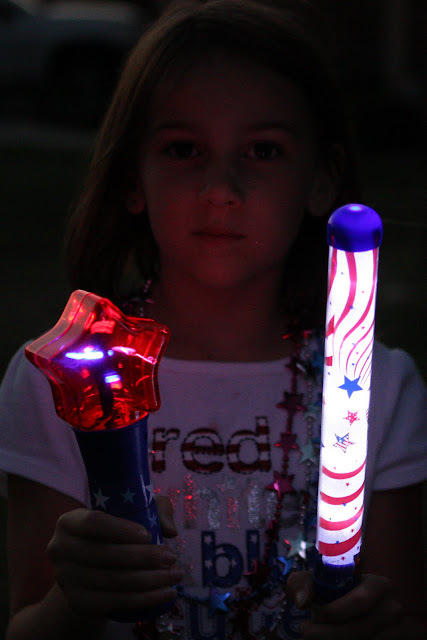 Leave it to my mom to give the kids all light sticks! She saved the holiday! 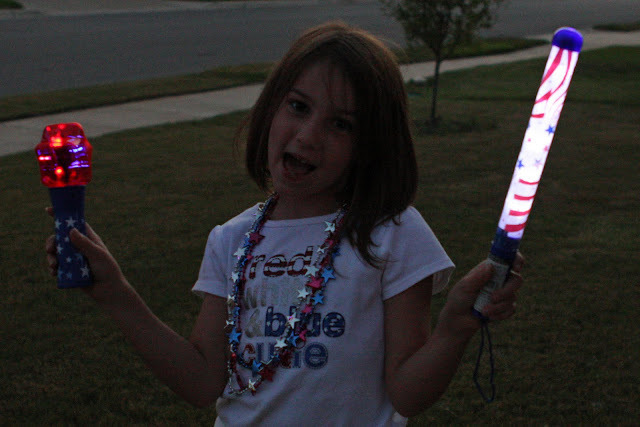 So when we got home that evening, the kids ran around and had a “light show”. 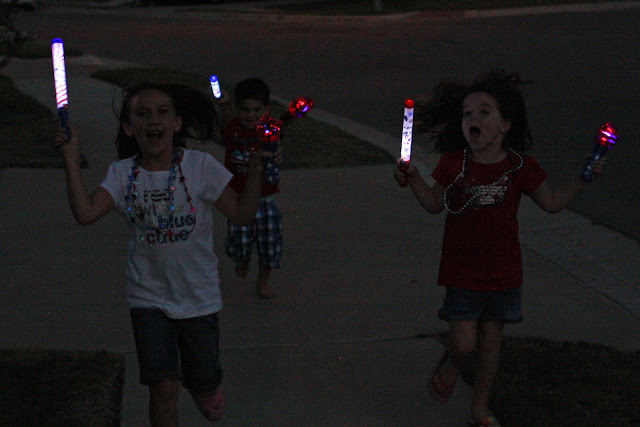 They were totally happy and didn’t even remember there was no fireworks this year.